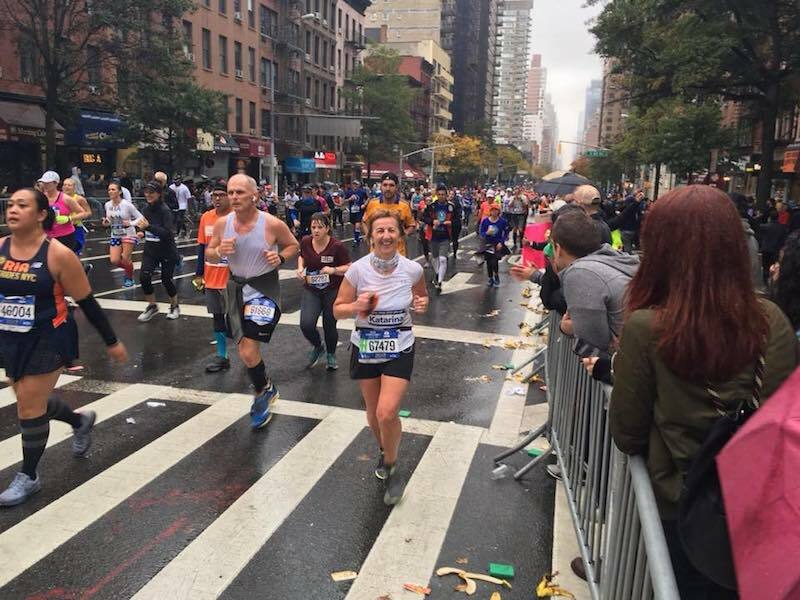 The illustrious journalist explains how she got bitten by the marathon bug at almost 50 – and never looked back. “It was not me finding journalism as a career, it was journalism that found me in high school,” Katarina Subasic explains at her desk, facing three computers open to a variety of screens related to her work. Since she was 16, Subasic, now 52, has had an illustrious career as a journalist. She started on the streets, reporting on prices at the Kalenic market in Belgrade’s Vracar nighbourhood, and worked her way up to serious political journalism during the wars of the 1990s. “I covered pretty much everything you could imagine was happening in former Yugoslavia in the 1990s, so [Slobodan] Milosevic’s rise to power, his rule, the protests against him, political negotiations, the wars in Bosnia, Kosovo and Croatia,” she recalls. When NATO started bombing Serbia in 1999, Subasic was spending a semester at NYU through an international programme, Journalists in Residence. She had to cut it short because her family and children were still in Belgrade at the time. She later joined Agence France-Presse, AFP, until the end of the war. “But then I simply stayed, and I love being here and working here,” she notes. In the 1990s, she also joined the Committee to Protect Journalists, CPJ, which assisted journalists who were being arrested by the authorities in Serbia during the bombing campaign. “It was another invaluable experience,” she says, quietly. With such a impressive career, you might think she has no time for much else, but, aged 46, Subasic started on a new path: running. “I never ran in my life because as a kid I had a spine problem and I had to have surgery when I was 21. So I never ran; I used to go skiing, I was in a few other sports, I was going to the gym since I was in my early thirties or something,” she explains. Everything changed when her first daughter moved away to the US to attend college.